Her professional jazz colleagues commonly refer to Laurie Wheeler as an instrumentalist whose instrument happens to be her voice. Laurie has been ranked one of the World's Top 10 Female Jazz Vocalists 2 years in a row by the DownBeat Readers poll. She has performed with such notables as Larry Carlton, Robben Ford, Michael McDonald, Louis Bellson, Steve Winwood, Buddy DeFranco, Charlie Byrd, and Bobby Peterson. 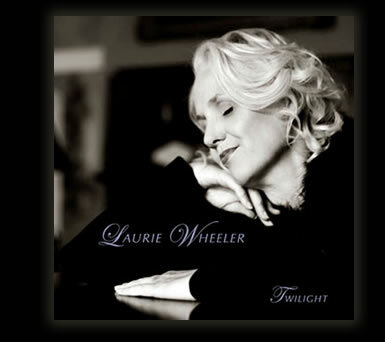 A veteran of jazz for over 20 years, Laurie has released 4 CD's – From the Land of Dreams, Twisted, Laurie Wheeler and Nash deVille, and Twilight. Her albums showcase tight vocal harmonies, be-bop scats, impressive arrangements, original song style, and her love and expertise of the art of vocalese. Laurie currently calls Nashville home, and aside from touring and writing songs for her next project, she dedicates much of her time helping young, aspiring musicians develop their talents.